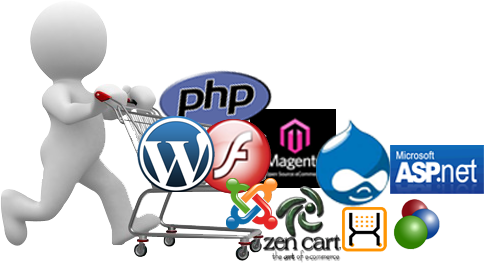 We have expertise in the development of custom web applications and have successfully delivered a variety of solutions to our clientele. Innofreak have expertise in the development of custom web applications and have successfully delivered a variety of solutions to our clientele ranging from start-ups to established business enterprises. Over the years the popularity of web applications, as opposed to traditional desktop applications, has grown in leaps and bounds. One of the reasons for this popularity is that web applications are platform independent can be deployed on various operating systems and accessed through a platform independent browser. The maintenance and distribution of web applications is much easier as these applications reside on a server from where they are accessed by the users. No additional software is required to be installed at the user's end. At Innofreak , our expertise and experience with developing web based applications span multiple technologies and verticals. We make use of technology to innovate and design solutions that are tailored to meet the requirements and objectives of individual clients. From the setting up of online storefronts to booking engines, to platforms to share information and services and complex business applications, our solutions help clients in transitioning to the web thereby providing them with a means to increase efficiencies and expand their area of operations. Our solutions can be deployed over the Internet or can be deployed locally within an Intranet.